This year the Willy Nilly returned to it's original format. That is to say, on the same date as that of a well-established season-opening herd of cyclists on a different island near Seattle. 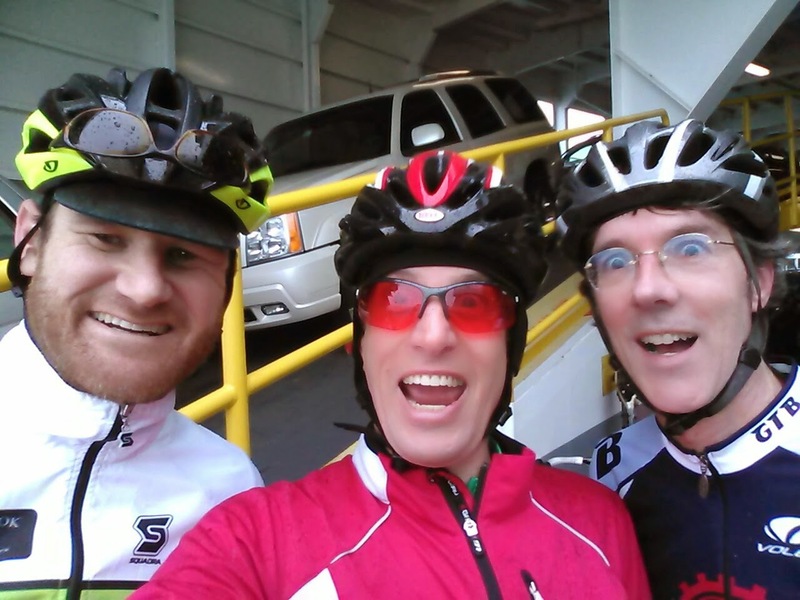 In the spirit of Willy Nilly there were two waves of riders on their own schedules, doing their own route, each riding their ride on a day of perfectly reasonable weather (there's no such thing as an ugly day on Vashon). "And the ferry ramp Strava king of the mountain is..."
Wave two riders, more inspired to "stroll" than "perform", nevertheless accomplished an artistically-oriented achievement for posterity by collaborating with the bartender of The Hardware Store to identify and test the perfect final component of a beverage masterpiece that had been in development for more than five years: The Admiral (a Bloody Caesar made with gin versus vodka). A feat of genius by the bartender was performed by adding rolled anchovies to the already heavily-laden garnish stick. So yeah, we had a lovely ride with comfortably crisp weather that was mostly dry....that is, until we departed The Hardware Store for a dash to the ferry dock, at which time we were blessed with just enough rain that we were able to feel as if we were intrepid Belgian Spring Classics riders deserving of many finish line beers.